NECKLACE - EMMONS. "FLORAL ANTIQUE". 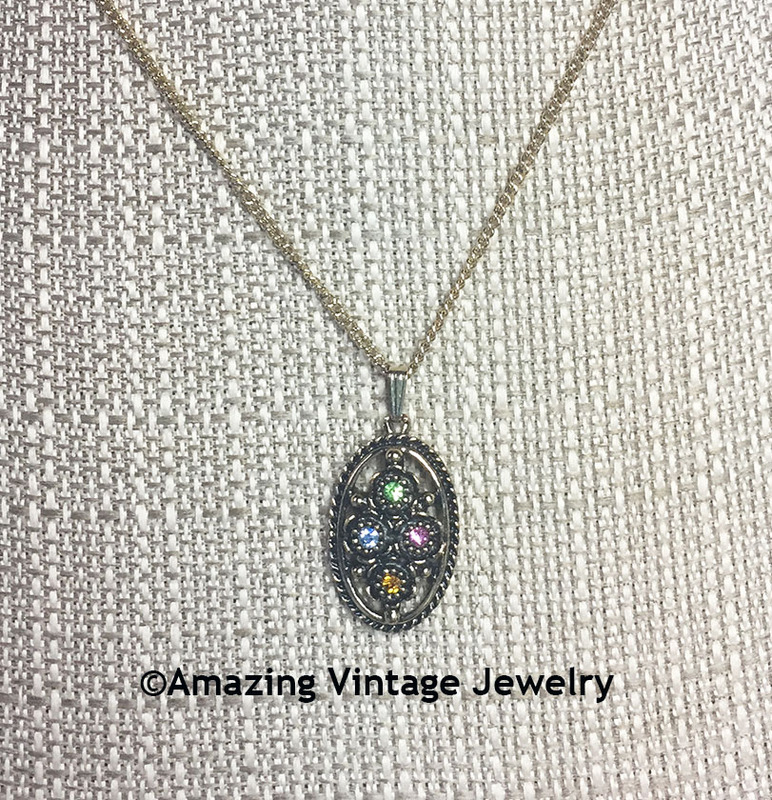 ANTIQUE GOLDTONE OVAL WITH MULTI-COLORED RHINESTONES. 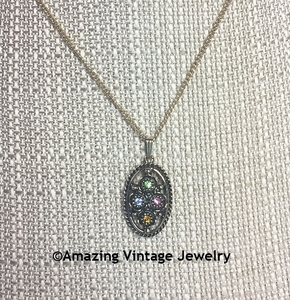 PENDANT IS 1" LONG, 11/16" ACROSS. CHAIN IS ADJUSTABLE TO 16" AND 18" LONG. VERY GOOD CONDITION.